After a video of him playing pick-up ball against NBA stars went viral over the summer, Obi Toppin began his Dayton basketball career with a lot of hype. Just two games in to the 2018-19 season, the redshirt freshman has lived up to every bit of it. With senior leader Josh Cunningham sidelined due to a wrist injury, Toppin found himself starting at center in the season opener and did not look back. Not many players dunk three times in the first four minutes of their college career, but Obi Toppin did exactly that last Wednesday night. Tasked with filling the role of Cunningham, a preseason all-conference first team selection, Toppin proved he was up to the challenge. Scoring 18 points and grabbing 10 rebonds, the 6’9″ forward quickly grabbed the attention of those in attendance. He shot an efficient 8-13 from the field as Dayton downed North Florida 78-70. Back in action on Saturday night, Toppin remained in the starting lineup with Cunningham still sidelined due to injury. Getting off to another hot start, the redshirt freshman proved his debut was no fluke. 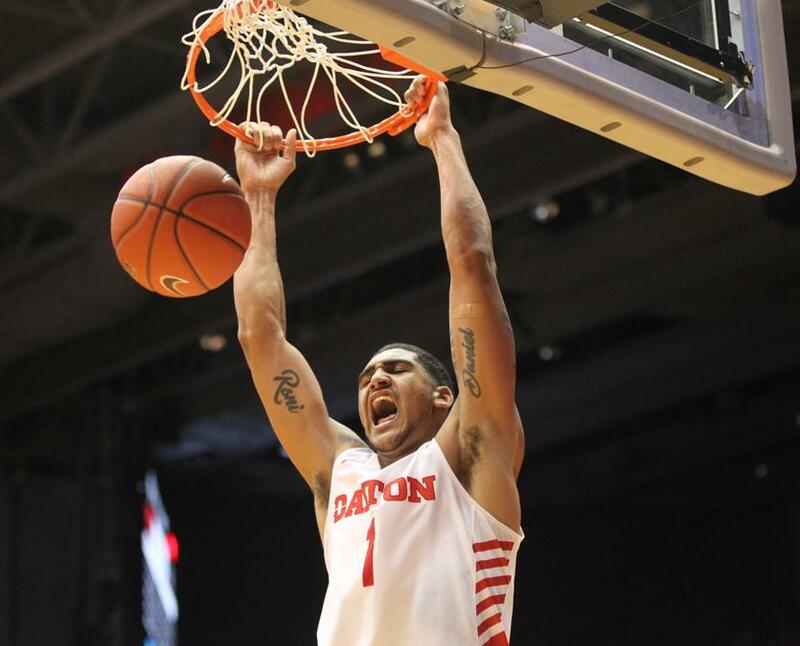 Shooting 8-10 from the field, Toppin led the team with 19 points as Dayton routed Coppin State 76-46. Playing with a ton of confidence, he told me after the game, “It’s grown a lot (over the last couple games). I played in the city, in New York, and you have to play with a lot of confidence there. So I got used to it over time and when I step on the court here I feel like it’s the same thing.” Averaging 18.5 points and 71% field goal shooting in his first two games, Toppin’s Flyer career is off to one heck of a start. With Josh Cunningham expected to return from injury next week, it is unclear whether or not Toppin will remain in the starting lineup. Either way, fans can expect him to continue playing with the same level of effort and confidence. Following Saturday’s win over Coppin State I asked head coach Anthony Grant about his expectations for Toppin going forward. He said, “Every game is a brand new experience for him… the highs, the lows, and everything in between will be his first time going through it. I think every player gets better with experience. The more experiences you have the more comfortable you get, the more confident you get, the more you can learn. So he’ll go through that the entire year.” A solid reminder that while Toppin is off to an incredible start, it is still his first year playing college basketball. The rest of this season should be a lot of fun to watch as it looks like both Toppin and the Flyers have very bright futures. Fun Fact: Toppin said he could not dunk until his senior year of high school (he was about 6’6″ at the time). Yes, you read that right. It was probably the most shocking news I have ever heard at a post-game press conference.